From the new custom-inspired headlight to the scalloped tank and flush-mounted taillight, the Victory Vegas reels you in with its smooth, flowing lines and long, low, stretched style. 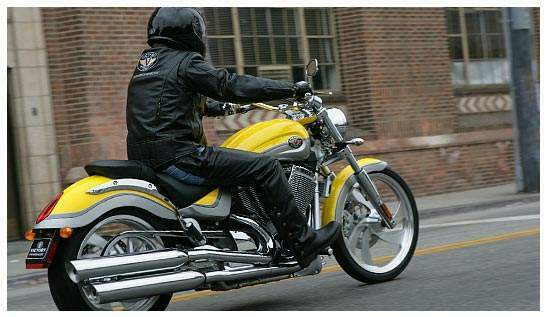 Then it slingshots you into an unforgettable riding experience with Victory’s own 100 cubic-inch Freedom V-Twin and true six-speed overdrive transmission. 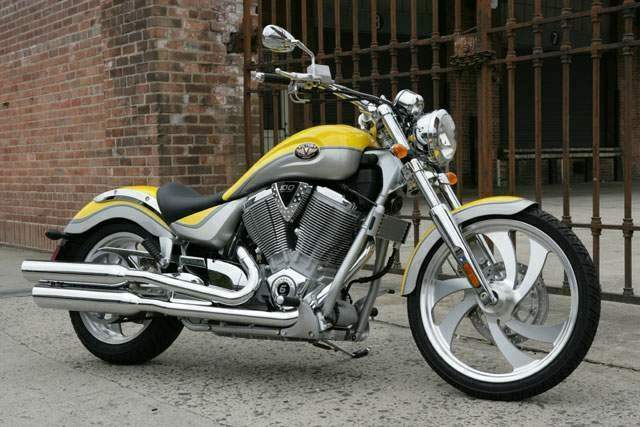 Never in the history of the American motorcycle has a bike achieved such a perfect balance of style, engineering and performance. Put it all together and you’ve got a bike whose ability to turn heads is matched only by its ability to perform. It is no wonder we consider the Vegas the heart of the lineup, or that it has been honored with almost every major industry award. VEGASTM. LONG, LOW AND STRETCHED. LIKE THE ROAD ITSELF.